The Behringer X16 Digital Mixer for iPad/Tablet transforms your tablet into a powerful mixing tool. 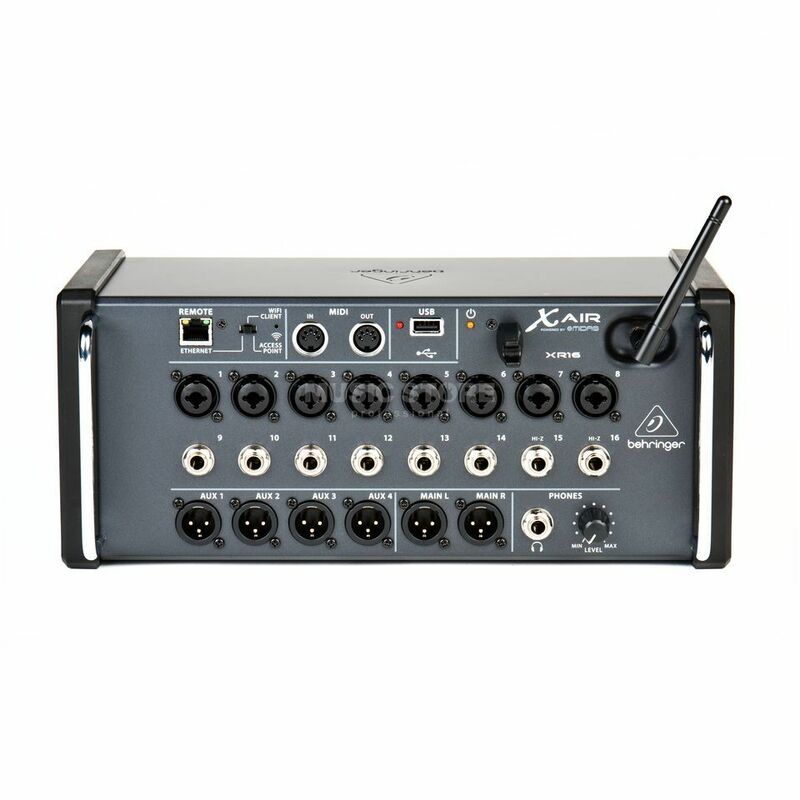 The X16 connects to your iPad or tablet via a 16 channel, bi-directional USB interface, giving you full control of all features via your screen and allowing you to record directly to your device. The X16 is equipped with 16 inputs; 8 mic/line combo inputs with award winning MIDAS designed microphone preamplifiers, and a stereo unbalanced RCA input. Precision equalising on the fly is made possible by the fact that every input channel and bus of the X16 features an EQ with a 100-band Real Time Analyzer. Equipped are also 4 XLR aux outputs and 2 XLR main outputs plus a headphone connector. However, the Behringer X16 also has the virtual FX rack of the X32 with emulations like the Lexicon 480L, PCM70 and EMT250, so in the absence of external effects processors, you’ll still have plenty to play with! There is a free iOS and PC app that can be used to control the X16 remotely via the Ethernet connection at the rear, or via Wifi using the integrated Wifi module. With 40-bit floating-point DSP and near zero latency, the Behringer X16 is the perfect mixing solution for professionals and amateurs alike, whether at home or on stage. An amazing small package with enormous features. Well made, sturdy and the pre-amps and effects are excellent. Highly recommended.